Who doesn't know the problem? While moving from one home to another, as a temporary solution we use provisional lamps placed on wardrobes. Sometimes there only are simple light bulbs and their cover hanging on a naked cable, serving as ceiling lamp. And if there actually hang lamps then you will find the light bulbs in garages or lumber-rooms. Droog Design offers a fast and easy solution for the problem with “Hang on easy”. 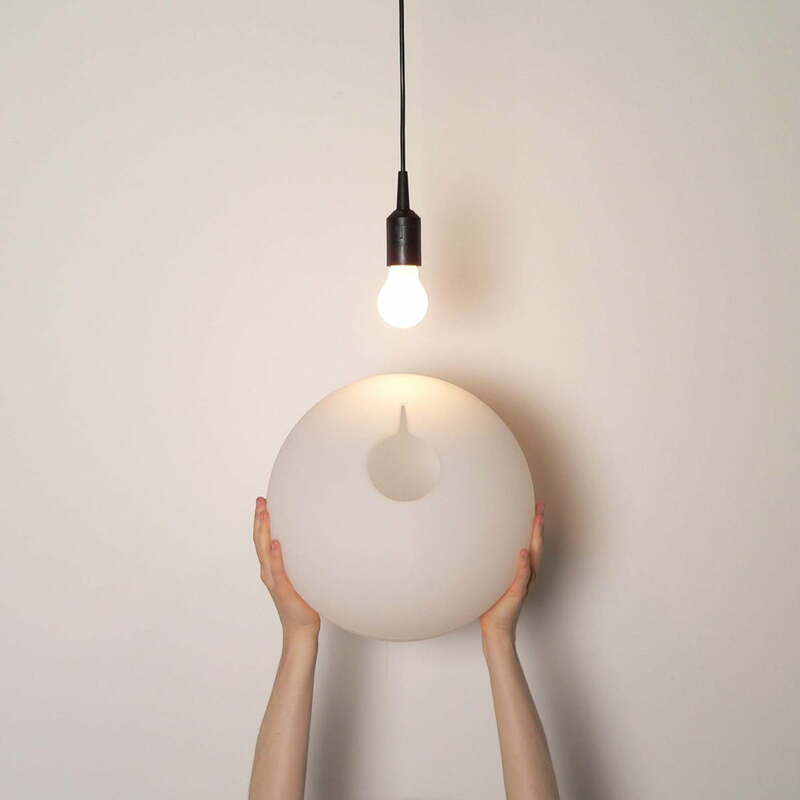 Hang on easy, designed by Ransmeier & Floyd, is just a simple lamp shade. It is easy to put on a light bulb cover and it turns this one into a stylish designer lamp. Hang on easy turns the bright light of the simple light bulb into a warm, cosy light which makes every room more comfortable - without any problems or high charges. Please note, that "Hang on easy" is NOT a complete lamp! Suspension, cover, illuminant etc. are not included in the delivery package. Isolated product image of the Hang On Easy lampshade by Droog Design. Please note that "Hang on easy" is not a complete lamp. Cord, socket and lightbulb are not included! 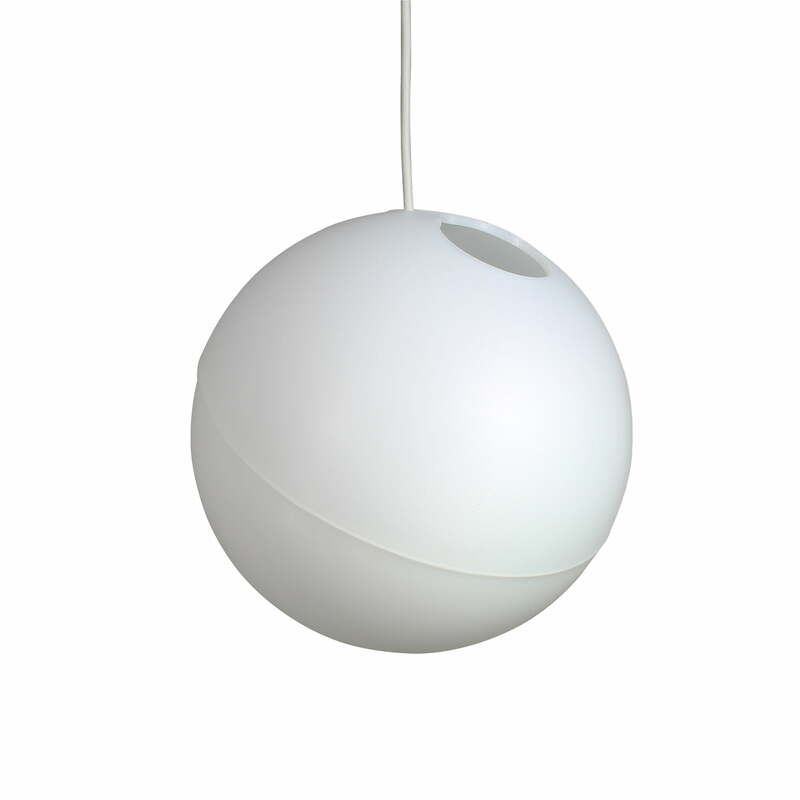 Animate product image of the Hang on easy lampshade by Droog Design. 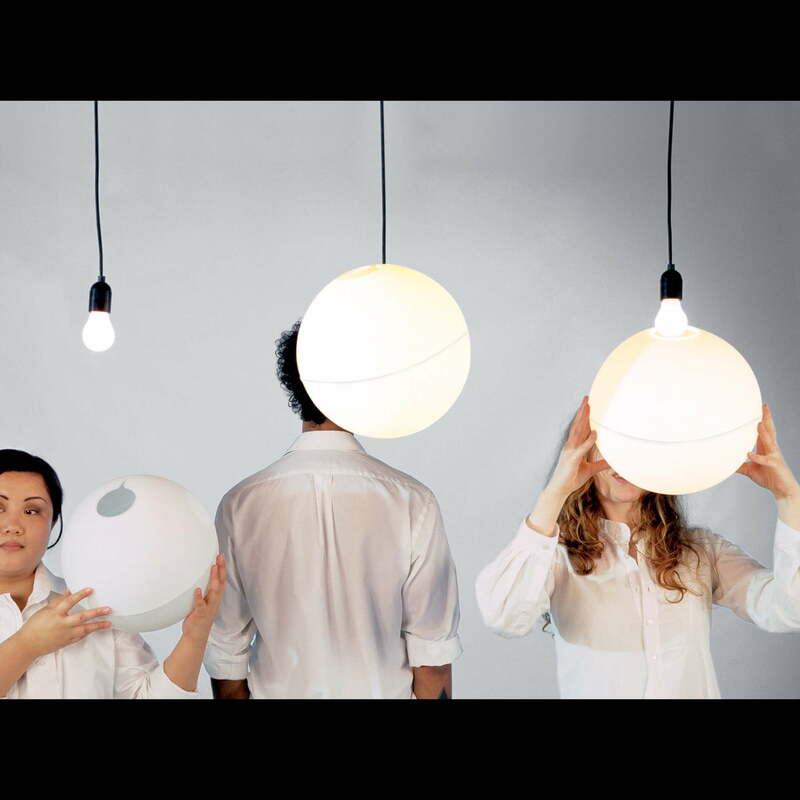 The Hang on easy lampshade transforms any common lightbulb socket into a stylish designer lamp. Hang on easy transforms the harsh light of the simple lightbulb into a soft, uniform light and increases the cosiness and feel-good factor in every room - without much effort or high costs.